Listing in the Heart of Mission Valley! 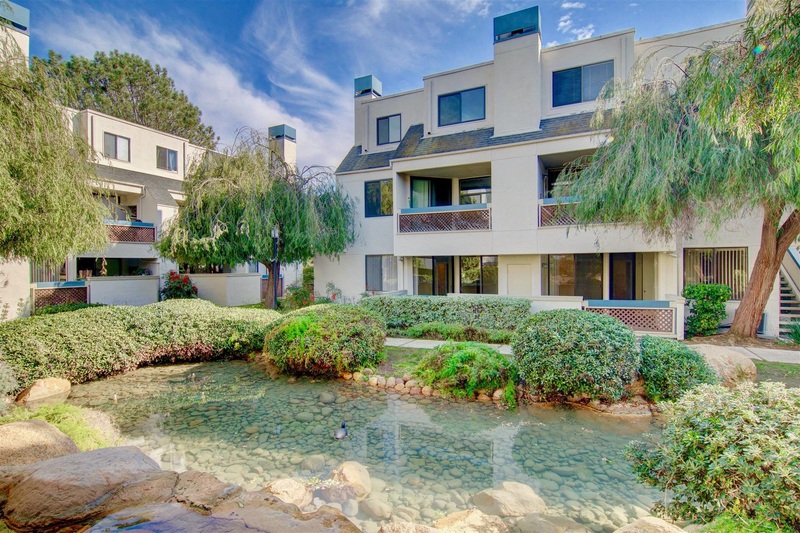 Fabulous 1st floor condo in the heart of Mission Valley. Large patio off living room & bedrooms. 2 full size baths. Designer kitchen cabinets, tile flooring, an eat in counter, stainless appliances. Beautiful natural looking wood laminate floors, recessed lighting, fireplace in living room. Ceiling fan in dining room. Plenty of space for entertaining. Washer/dryer in the condo. Relaxing patio with view of greenbelt and water feature. Community pool, spa, exercise room. Close to shopping and dining.